You are a Tigers fan. You got Tigers stuff. You need a place to put to it all. One place. One product. The Ticket Box is just the thing. 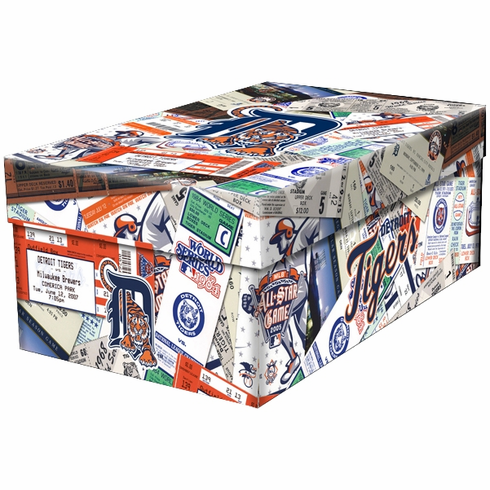 The Ticket Box is perfect to store all your Tigers tickets as well as photos, pins, buttons, scorecards, baseball cards, and more. No more wondering where you stashed your Tigers souvenirs. Also makes a great gift box and is ideal for birthday parties. One place. One product. The Ticket Box. NOTE: There are historical tickets on this box design offering a Tigers franchise history lesson!